Plan a Galentine’s Day visit to Wilmington and its island beaches. February is the month of love, but that celebration is not reserved just for couples. Born as a pop culture reference during a 2010 episode of “Parks and Recreation,” Galentine’s Day (February 13) has become an occasion for women to come together and rejoice in the bonds of friendship. And there’s no better way to do that than by spending some time together at Wilmington and its island beaches, a destination that offers an abundance of entertaining options for you and the ladies in your life, whether it’s nightlife, wildlife or just good old relaxation that you’re seeking. A must-stop during any trip with your gal pals, Wilmington’s River District hosts an array of eating and drinking choices. 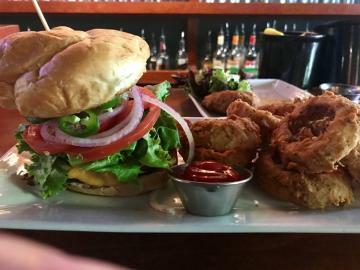 Get dolled up in your best duds and splurge on a culinary experience at fine dining establishments such as PinPoint Restaurant, Caprice Bistro or manna ave. 123, or dress down while enjoying some spot-on pub grub at popular casual establishments including Copper Penny, Rebellion NC and The Fork n Cork. Walk off the meal with a stroll along the Riverwalk before wrapping up your excursion with a few craft cocktails at The Blind Elephant or Whiskey Tango Foxtrot. If beer is more your thing, head over to Front Street Brewery, Ironclad Brewery or Flytrap Brewery, while oenophiles will find their paradise at places such as Palate Bottle Shop. Just down the road from the River District is the emerging South Front District and its hip vibe for your tribe. 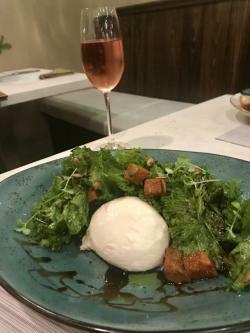 You’ll want to hit up the new Love, Lydia Bakery & Café for some coffee and sweet treats during the day, then return in the evening for dinner and drinks at Benny’s Big Time Pizzeria, The Second Glass or The Harp. Cap off the night with a few brews at Satellite Bar and Lounge. Marvel in the inventive adaptations of former industrial spaces (Benny’s and Satellite) blended with new construction created by the reuse of shipping containers (Second Glass). While Wilmington is known for its multitude of restaurants and bars, no trip to the area should ignore the stunning natural beauty of our region. Get in touch with nature during a visit to Airlie Gardens and its 67 acres of walking paths featuring diverse ecosystems that provide unique habitats for a variety of colorful wildlife, or relish in the serenity of The Arboretum New Hanover County. When you’re ready to venture outside Wilmington, burn some calories while exploring neighboring Wrightsville Beach with a walk or run around the John Nesbitt Loop, either on your own or as part of the Wrightsville Beach Valentine Run on February 9. Along the way you’ll pass the Wrightsville Beach Museum of History, giving you and your gal pals a glimpse at the beach life of yesteryear. The southernmost town in New Hanover County, Kure Beach is home to the North Carolina Aquarium at Fort Fisher. This attraction is great for a visit anytime, but yoga classes on February 12 and 26 give a rare morning glimpse at the facility before it opens to the general public. Also in southern New Hanover County, the Carolina Beach State Park and its miles of trails are an explorer’s paradise. However, no trip to the area is complete without a walk along the beach. 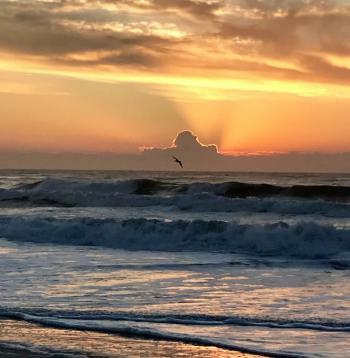 Rise early and reward yourself with a spectacular sunrise over the Atlantic Ocean. 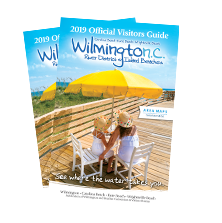 For seasonal events, more trip ideas, and to download a free copy of the Official 2019 Wilmington and Beaches Visitors Guide click here. Judy Royal is a freelance writer who grew up vacationing in Carolina Beach before making it her home in 2008. Prior to this, she lived in Wilmington's River District for eight years. A North Carolina native and lifelong resident, Judy graduated from the University of North Carolina at Chapel Hill School of Journalism and Mass Communication and has worked at newspapers, magazines and other publications throughout the state since the 1990s. She enjoys boating, bicycling, good food, trips to the Florida Keys and animals, especially her rescue dog Truffle.